Chilly, but nice. That’s my story and I’m stickin’ to it! Actually, it was better than nice. Loads of birds, low tide, little wind, beautiful clouds in the sky, and two banded Snowy Plovers. Over thirty birders showed up: I suspect some had found new binoculars under their Christmas tree. Duck species doubled from November’s four, including four beautiful Hooded Mergansers, a species recorded 17 times previously (of 301 lagoon field trips), but last seen 12/24/95. They spent two winters, 1981 and 1990, paddling around with the Ruddy Ducks under the PCH bridge from January through March. 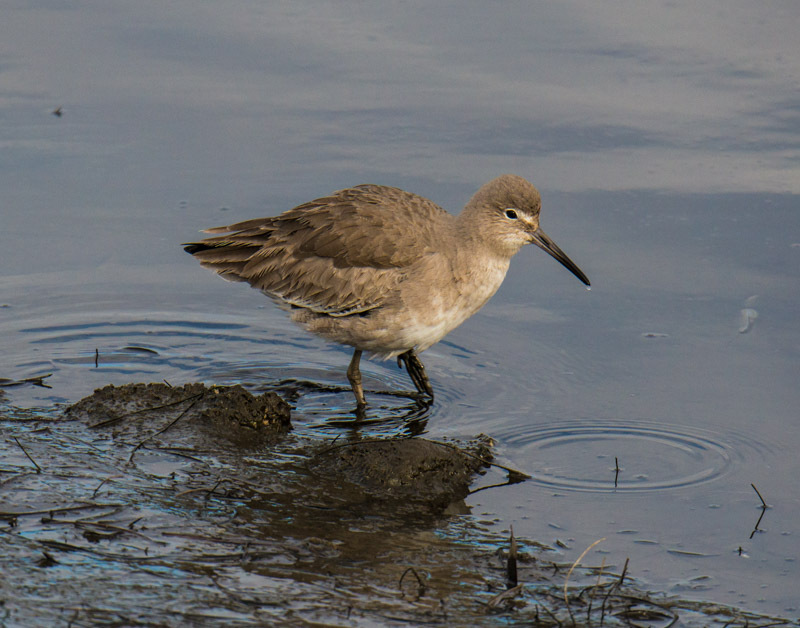 We had a near record number of 6 Spotted Sandpipers, a species that does not congregate with other sandpipers in the winter, preferring to wander the lagoon edges alone. We’ve seen eight ‘spotties’ twice before, both times in August. I must have walked right past the Greater Yellowlegs, as I glimpsed him behind me out of the corner of my eye. They show up on only 16% of visits, most often in December and never in May. 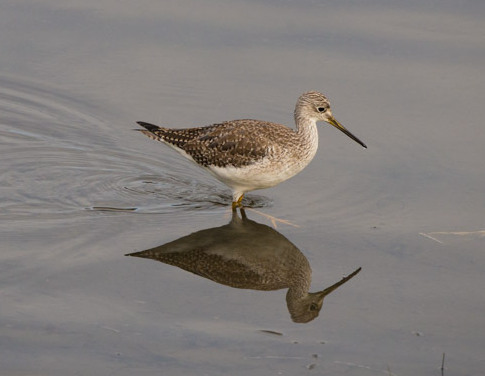 A nearby Willet provided a good comparison: The Yellowlegs is 1” smaller, slimmer with a longer, slightly upcurved bill, more white & black & speckled than plain gray-brown, and a more active feeder. A record number of cormorants were present: well over 200 adorned the offshore rocks with dozens more floating in the sea, for lack of rock-perching room. Oddly, there was not a single Pelagic Cormorant among them; even more oddly, the 130 Brandt’s outnumbered the Double-crested, which we’ve never seen before. 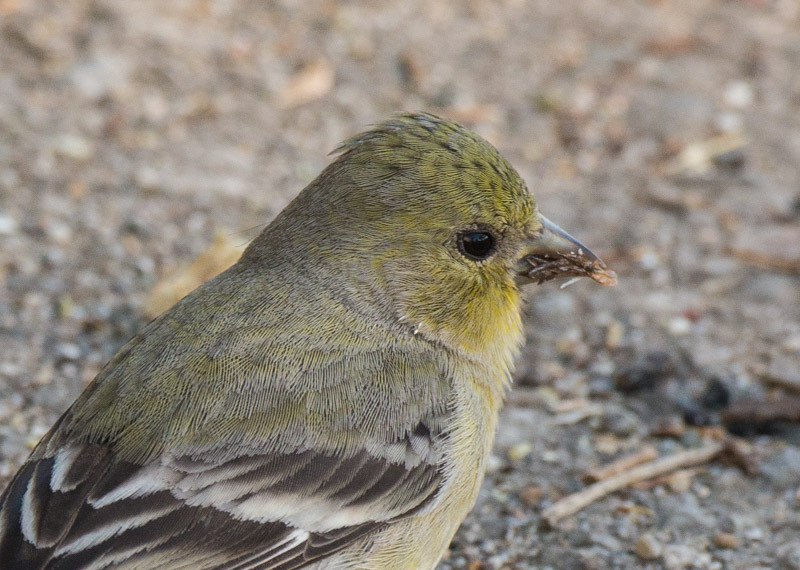 Brandt’s are present only 50% of the time, whereas the Double-crested are very rarely absent. Factoid: Brandt’s and Pelagic Cormorant’s really dislike being far from the sea; even the lagoon is too far inland for them, and we rarely see them there, whereas we regularly find them paddling around in the nearshore waters or resting on the rocks. Lots of loons in the surf zone, most disguising themselves as Red-breasted Mergansers, trolling for fish with their heads submerged, and lots of grebes in the lagoon. But the gulls had really massed (see list below). Not a great variety – six gull species plus Royal Terns – but large numbers. Even five raptors species appeared, albeit only one of each: Osprey, White-tailed Kite, Red-shouldered & Red-tailed Hawks, and a Peregrine Falcon resting on the east end of the beach. Back home, I was surprised to learn that Kites appeared only ten times previously, including three months in a row in April-June 2013. 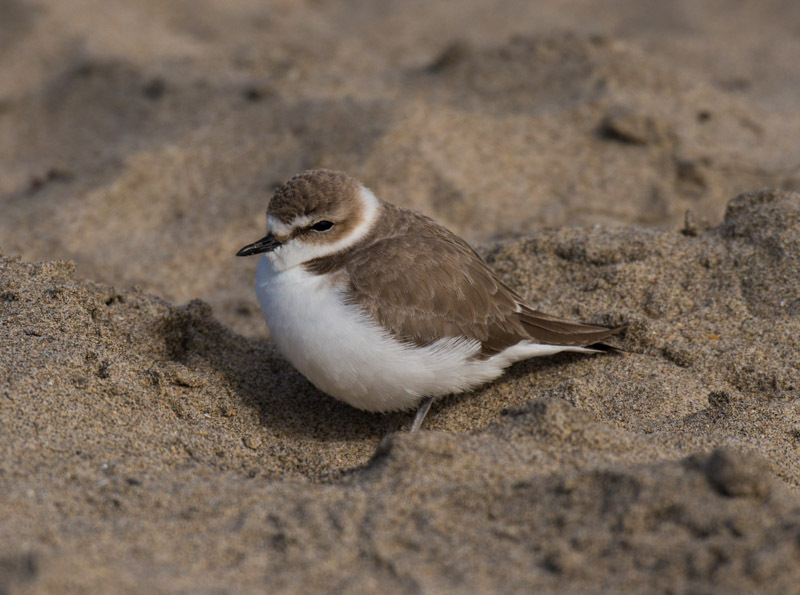 I counted only 25 Snowy Plovers on the beach – there may have been more across the breach channel – but they included two ringed birds: GA:OY and GG:AR. GA:OY was ringed this summer at Oceano Dunes; GG:AR is an old friend with many lagoon appearances, ringed in Summer’11, also at Oceano Dunes. Birds new for the season were: Gadwall, American Wigeon, Northern Shoveler, Bufflehead, Hooded Merganser, Red-throated, Pacific & Common Loons, White-tailed Kite, Red-shouldered Hawk, Peregrine Falcon, Greater Yellowlegs, California Gull, Glaucous-winged Gull, Royal Tern, Savannah Sparrow. Our next three scheduled field trips: Antelope Valley Raptors, 10 Jan, 8am-2pm; Malibu Lagoon, 25 Jan, 8:30 & 10am; Salton Sea weekend, Feb 7-8, 9am. Our next program: Tuesday, 3 Feb., 7:30 pm. The Santa Monica Mountains Conservancy, presented by Melina Watts. PLEASE NOTE THAT OUR MONTHLY MEETING PLACE HAS CHANGED; INFORMATION TO COME.